Why not start my list with a bang! This is a documentary talking about our relationship to the clothing we own. From beginning stages of where the materials come from, to who makes the clothes, to how long the average item of clothing’s life expectancy is now-days, to what happens to the clothing after. It addresses all of it. The True Cost opens your eyes to the environmental affects that fast fashion has on our planet and the inhumane treatment regarding those who make our highly consumed and discarded clothes. It explains why clothes are so much cheaper now than they ever have been before in the history of time and how clothing is no longer a seasonal collection. Many stores now have new inventory on a weekly basis! Fast fashion is truly one of the worst offenders to our environment which is why this documentary exposes fashion’s true cost. You won’t look at the clothes on the racks the same after watching this,…which is a good thing. This documentary is probably the first, if not one of them, of documentaries I watched talking specifically about the food industry and the negative affects it has on our health and the environment. It exposes the unsustainable practices we use to farm our foods which is depleting natural resources, and adding toxins into our environment. These practices in turn are linked directly to why we are having a health epidemic of modern day illnesses in our country. Food, Inc. also talks about the abuse that goes on to our animals and employees. I would definitely suggest this being a starting point on documentaries to watch about the food that we eat. This documentary talks a lot about what types of food, and food companies are funded and subsidized by the government. Exposing the corruption and deceit that companies and government have to make a profit. Often we are told that we are overweight and sick, and that our children are because they eat too much and don’t move around or exercise enough. We’re finding that that isn’t the truth but that our bodies react differently to certain food than others. In other words, calories aren’t all created equal. Our addiction to processed, unnatural foods change our taste preferences and the way our brains are wired and ultimately making it almost impossible to get off the rat race of diet and exercise to get healthier. It’s not until we stop eating things in packages and start eating true food that we can heal our bodies and minds. Based on the book “Cooked” written by Michael Pollen, a New York Times Best-Selling Author, this docu-series talks about the very basic principle of what makes us “human.” What separates us from the rest of the animal kingdom, which is that we cook our food. Fire, Water, Air, and Earth are the four natural elements that has evolved and shaped our most basic foods we have been consuming for thousands of years. Beyond the food, this documentary takes a look into how this act of nourishing our bodies connects us with those we love and share community with. Many people in the developing world live on the equivalent of one US Dollar a day. Four college friends take it upon themselves to live in rural Guatemala for 56 days on only $1 a day. They document the experience as they try to live like the locals, growing a crop during that time to sell and the struggles that come with poverty in the developing world. This documentary is very eye opening to what it would be like to not live with what we think to be very basic necessities and what families in these areas are faced with. I was a little apprehensive to watch this because of the title alone, but I’m so glad I did. My daughter watched it with me and she was full of questions the whole time as to why the fish were full of plastic pieces and how did the plastic bags get into the water? The people documented in this movie who dedicate their lives to researching and teaching people on the negative affects plastic has on the ocean are genuine people who have a love and amazement for a part of the world we know very little about. What we do know is how much we rely on the ocean for our sustainability as humans and we are polluting it in enormous amounts with our plastic consumption. If you want motivation to kick the plastic habit, this will do it to you as you watch animals dying because they are filled with plastic and learning on the negative affects mico-plastics have on the fishes health, and ultimately, our own. It’s amazing how something that’s treated as a disposable is anything BUT disposable. I hope you’ve made it to this point down my list of documentaries to watch because this one is my new favorite. I religiously listen to The Minimalists podcast every Tuesday. Josh and Ryan, better known by their blog as “The Minimalists,” interview many different people who live the ‘minimalist’ lifestyle on varying different levels. The concept being that there is no “right-way” but that ultimately owning less and putting less emphasis on material possessions gives you the freedom of living a more intentional life that helps one to focus on what values you have for yourself, giving your life more meaning. I love this documentary and I love Josh and Ryan’s podcast. They have great insight into how to live a life with intention and purpose. One of my favorite things said in the documentary, though I can’t recall who it was said by, was that it’s not that we are too materialistic, but it’s that we aren’t materialist enough. Meaning we don’t see the value of items, we don’t take care of what we have, we see things as disposable, replaceable. At first glance you may think, “What does being happy have to do with the environment?” Often we seek for material possessions to make us happy; clothes, house, expensive trips, but the principles that bring true happiness have nothing to do with material possessions. There is a certain amount of our basic needs being met that does make us truly happy, but after that point, when you are not in need, happiness comes from the things that you can’t buy. A man’s journey to live a more “green” life suddenly realizes that one of the biggest offenders on the environment is the animal agriculture industry. He goes on a quest to find out why environmental non-profits aren’t talking about this? If you profess that you’ve changed your ways to being “more green” or “more eco-friendly” this documentary will open up your eyes to how little of an impact taking short showers or recycling your water bottles have on the environment compared to what’s on your plate at dinner time. I always love to hear back from those that read my posts. Please share your thoughts here or on Facebook or Instagram. Thank you for reading! For the past few months I have been glued to my phone looking up real estate where we live, in southern California. Prices have gone up so much in just the past two years that I’ve lived here and according to economics, they see prices to continue to go up for at least the next two year, possibly even the next eight! In eight years my oldest will be 12-years-old, so naturally I’ve been thinking, if prices don’t drop she’s never going to have a yard to play in her entire childhood. With that thought I immediately started looking all over for a house I thought we could possibly afford. At first my expectations were high, but as I started calculating mortgages, my expectations dwindled. Then I researched all the programs for teachers to get into housing and met up with a lender to go over what we could afford with the program I thought best fit for us. The outcome was depressing. After we got home I cried, for probably a good hour. Then I went back online and looked for houses to rent. After a few more days of obsessing, I found a killer deal. 3 bedroom, 2 bathrooms, house with a yard, my own laundry, on a cul de sac, back in my home town, 9 out of 10 rated schools, AND the best part, is we could afford the place without feeling uncomfortable. I set up an appointment to see it. Then I started to think of all the things I would be giving up. Although I live in an apartment, I have a landlord who is so aware of what’s going on, it’s like having an alarm system installed in your home. I can walk to the park, the elementary school that has high ratings, the library, stores, restaurants, and my favorite grocery store. I have good friends, my daughter has good friends and I’m apart of a great community with a large diversity. Moving would mean that anytime I need to go somewhere I have to drive, (and with three kids in car seats, I’d so rather be able to walk). And I’d have to start over again with making friends, and did I mention my husband would have to commute? That’s when the thought came to my mind: “Bloom where you are planted.” I canceled my appointment to see the house for rent a few hours before. The more I started to think about what we can do in our situation, the more I realized the grass really might not be greener on the other side. Sure a few years down the road with more in our savings account, when prices of homes start to go down again, (because there’s always ups and downs in the housing market), we’ll be ready. And maybe before that we will find a better place to rent with a yard. But until that happens I’ve decided that I need to grow and bloom where I am right now. My family and I aren’t going anywhere and so I might as well make the very best of it. Here is a list of things I plan on doing to help with just that. I share it for anyone who is feeling a little stuck in their situation to know, you aren’t alone. I think everyone at some point feels this way, whether it’s because of your location or the stage of life you’re in. Think or write everyday things that you’re grateful for. Foster your creativity. Internet and apps, like Pinterest, on our phone can give us a false illusion that we are creating when actually we are consuming. Find something that you enjoy and then do it. Get moving, no not pack your bags, but move your body, exercise! See what events are going on in your area. This is something I love about Facebook is you can now see events near you going on. Look them up, and then actually get out and go. Take care of what you do have and have a heart of gratitude. 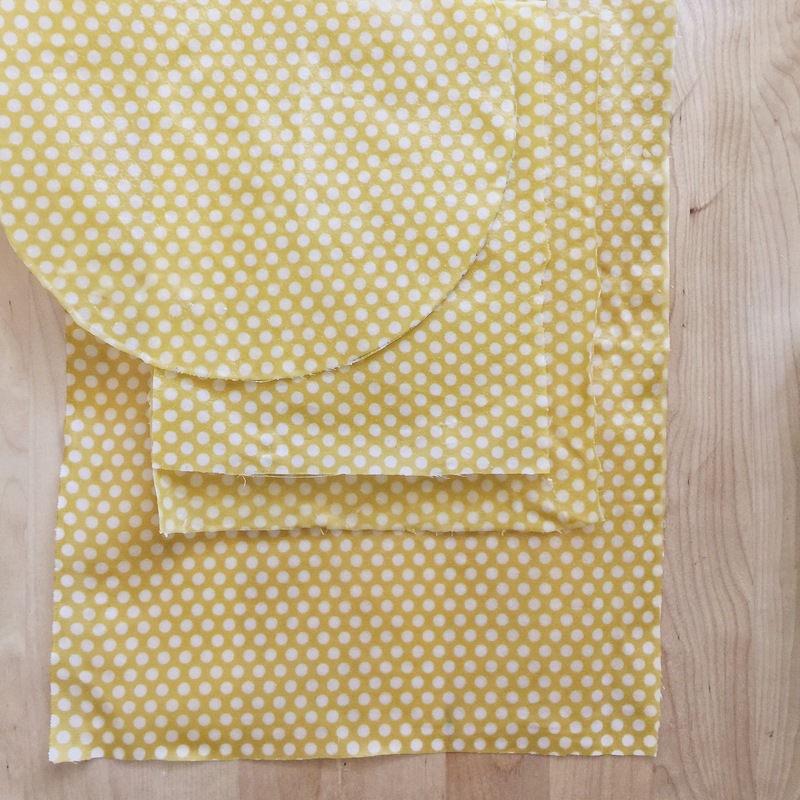 I found out about using a beeswax soaked cloth as an alternative to plastic wrap a few months ago as I was binge watching Sophie Uliano on Youtube. 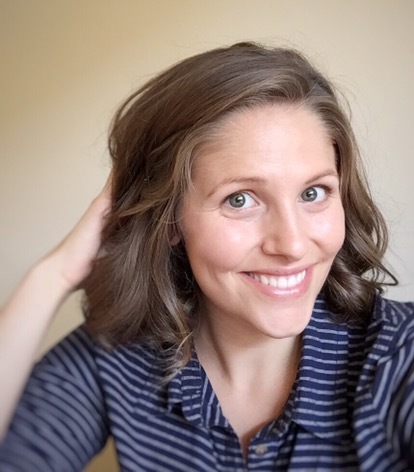 She has a lot of “green” solutions to everything from beauty to household to nutrition. During my Plastic Free Challenge I had three people tag me to a BuzzFeed video on beeswax wraps as an alternative to plastic wrap. I had already planned on posting how to do it yourself since it’s super easy and cheap but I just could not get around to it the last few weeks. When my own plastic wrap ran out a few months ago I switched to buying more glass containers and have just slowly reduced my need for plastic bags and plastic wrap. But there would be an occasional bowl that I needed to put in the fridge and instead of reaching for the plastic, I’d put an upside down plate over it. This new solution is much more convenient and less bulky then that though. I have been using one for close to a month now and really love it. So I made more to fit all my plastic needs when a container isn’t necessary, or not available. 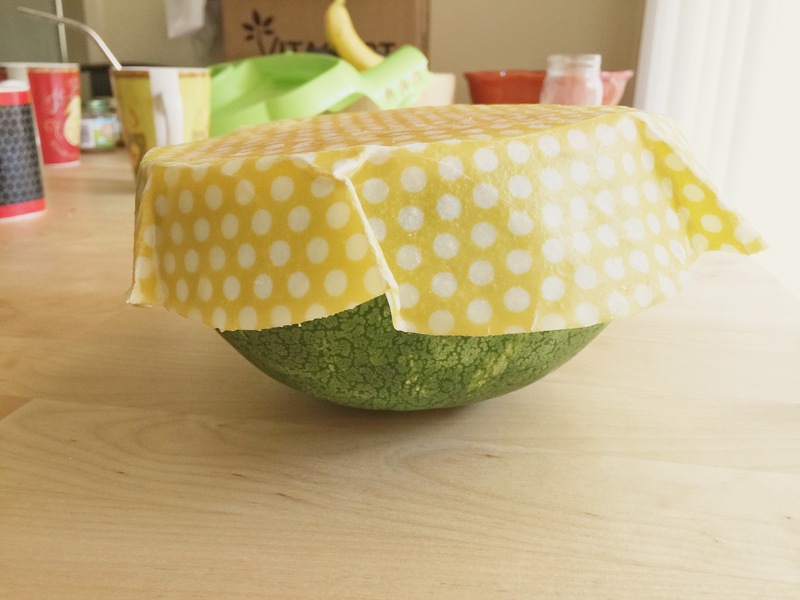 I’ve used it to cover watermelon, bowls, and even completely cover half an avocado! 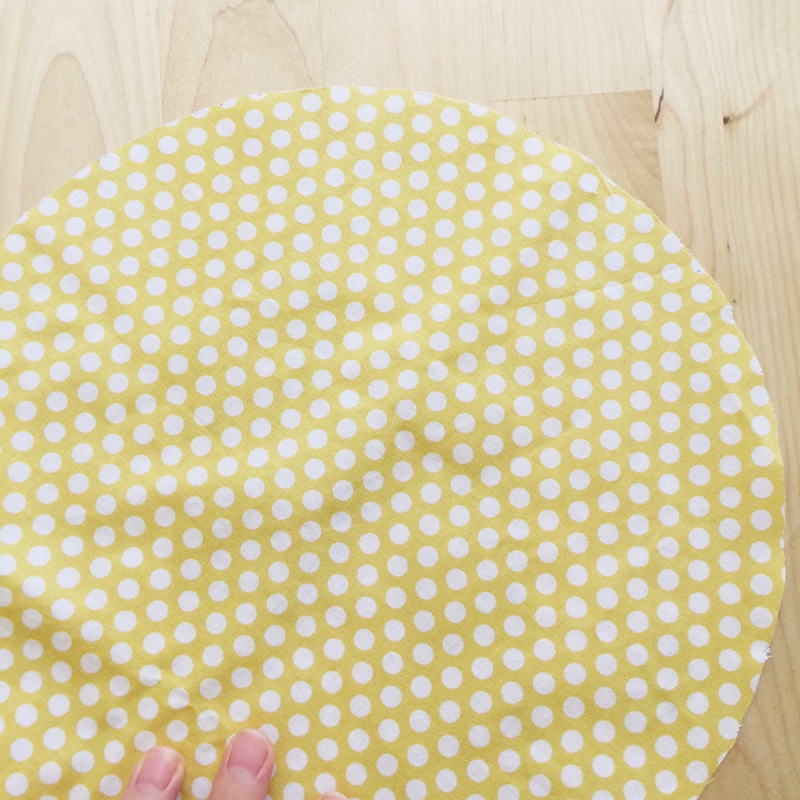 Beeswax covered cloth is much MUCH better for the environment because it is reusable, it’s naturally anti-bacterial and anti-viral which means that things won’t grow on them. These can easily be washed in cold water and soap and it smells good too! Lay out the fabric. 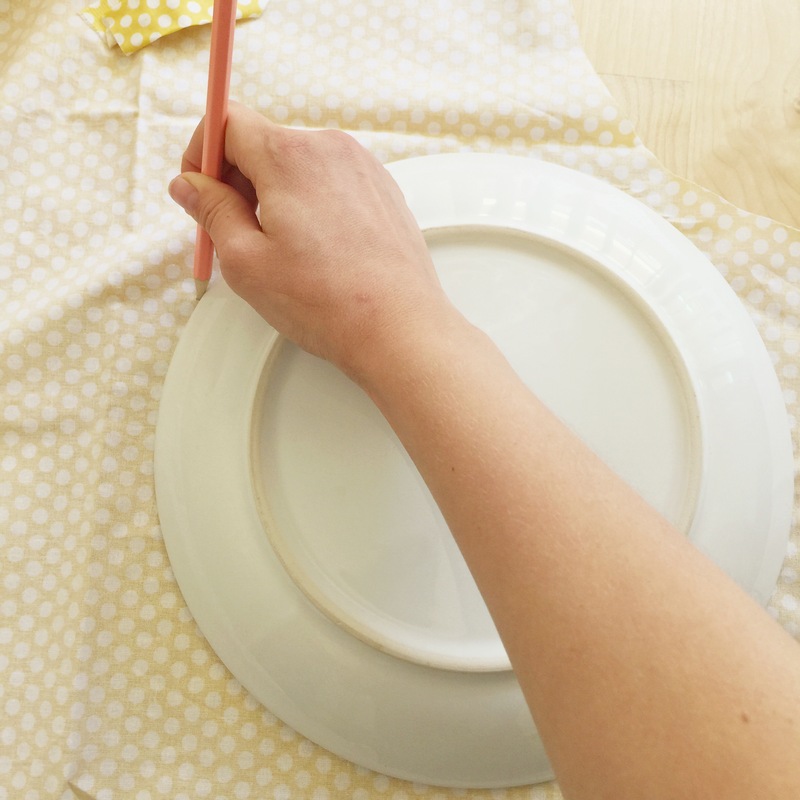 For an easy guide, you can trace a plate. But what I did is I put down the largest items in my kitchen that I typically had to use plastic wrap for in the past (large bowls, casserole dishes). BE SURE YOU ADD EXTRA SO IT CAN FOLD OVER. 3. 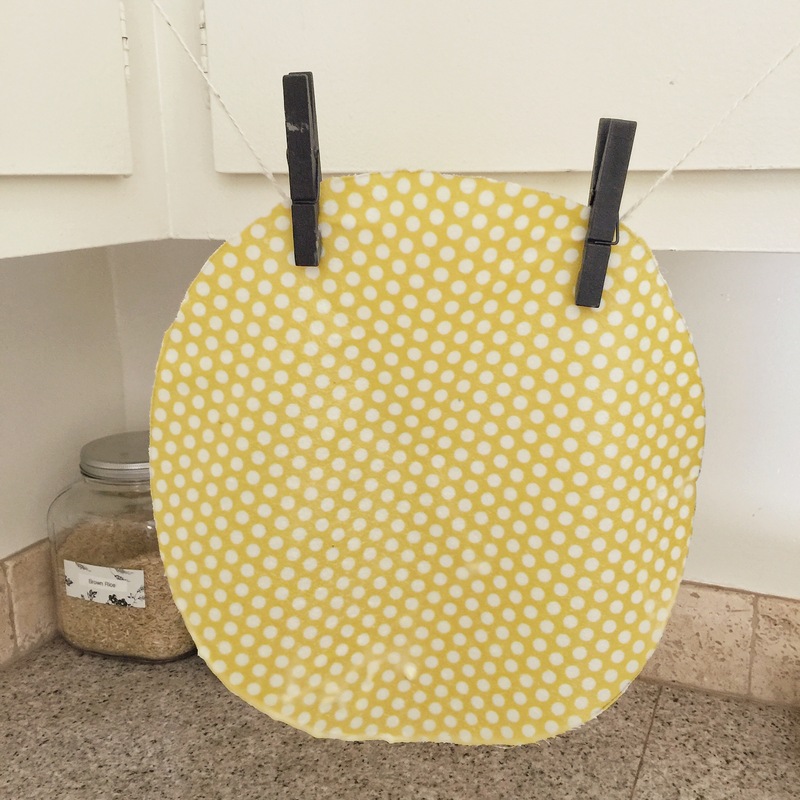 Heat the oven to 220 degrees F. It’s just warm enough to melt the beeswax and you do need to use pot holders when handling the tray out of the oven. But you can handle the fabric easily after a few seconds of it coming out of the oven with your fingers. 4. 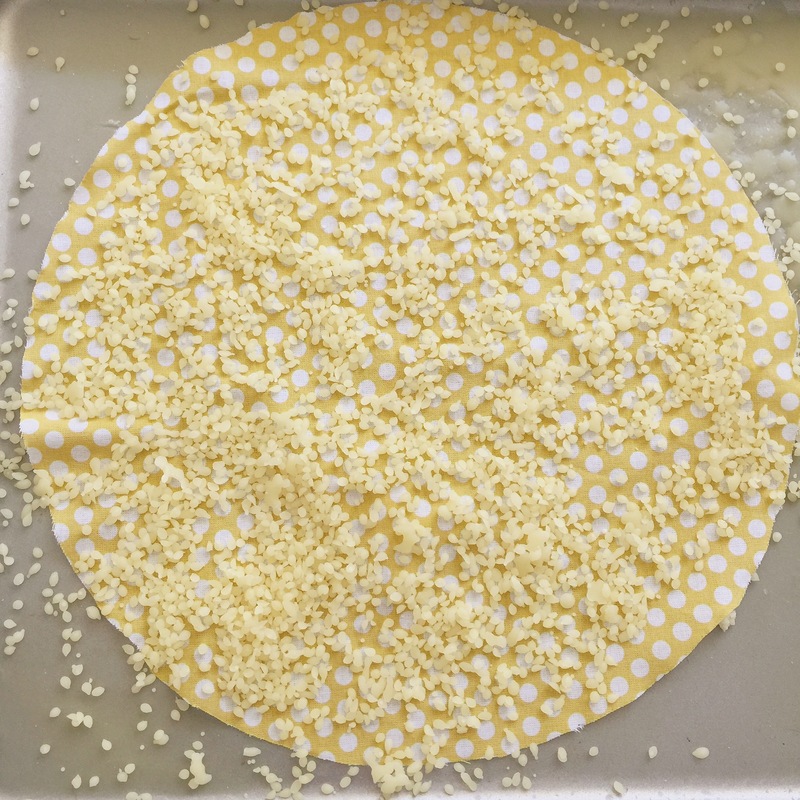 Depending on what kind of beeswax you got (beaded or block) put the fabric on the tray and place beaded of shaved beeswax over the fabric. 5. Place in oven until completely melted. You may have to move tray around to get the fabric completely covered. 6. Once it is all melted take out and QUICKLY hang to dry using string and clothes pins. Place tray underneath to collect any wax that drips off. Fabric will dry fast. And that’s all! Super easy and simple. I cut up all different sizes for most of all my plastic needs. Before this post is over though, I want to put something in your mind when thinking about using one-time-use items. Think of the “craddle to grave” so to say lifespan of those items and the energy, natural resources and consequences of these items. 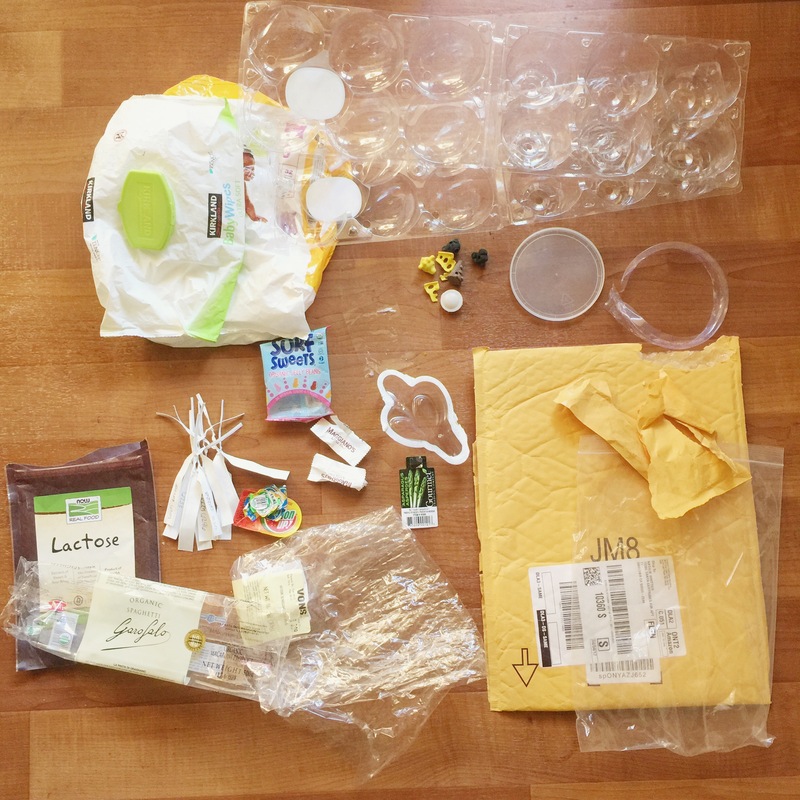 Plastic wrap, paper towels, paper plates, shampoo bottles, etc. Is it sustainable? Just think about it. *You may have to reheat the fabric in the oven if you don’t use the warmth of your hands to fold the fabric over things. It will crack the wax a little if it’s cold but it’s still usable, just looks cracked. *Don’t use hot water to wash. Beeswax melts easily and since it’s anti-bacterial, you don’t have to use heat to kill germs. *To get remainder wax off tray, let dry and peel it off. What you can’t get off, use a blow dryer until it’s warm enough to peel off easily. Week 2 of my plastic free challenge came to an end Saturday night. 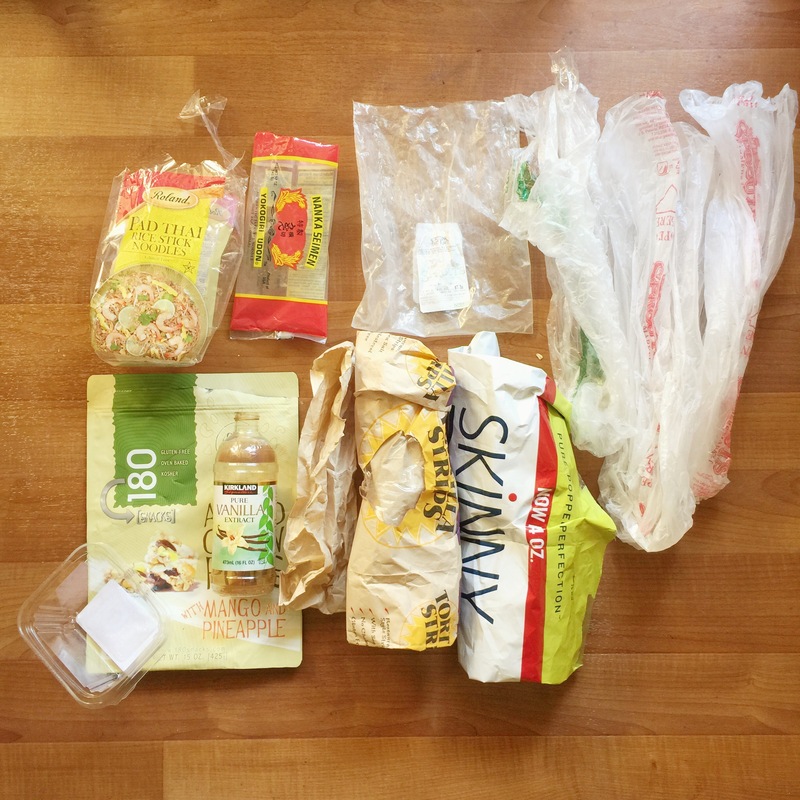 So I’m going to share my experience doing this plastic free challenge for the last two weeks. 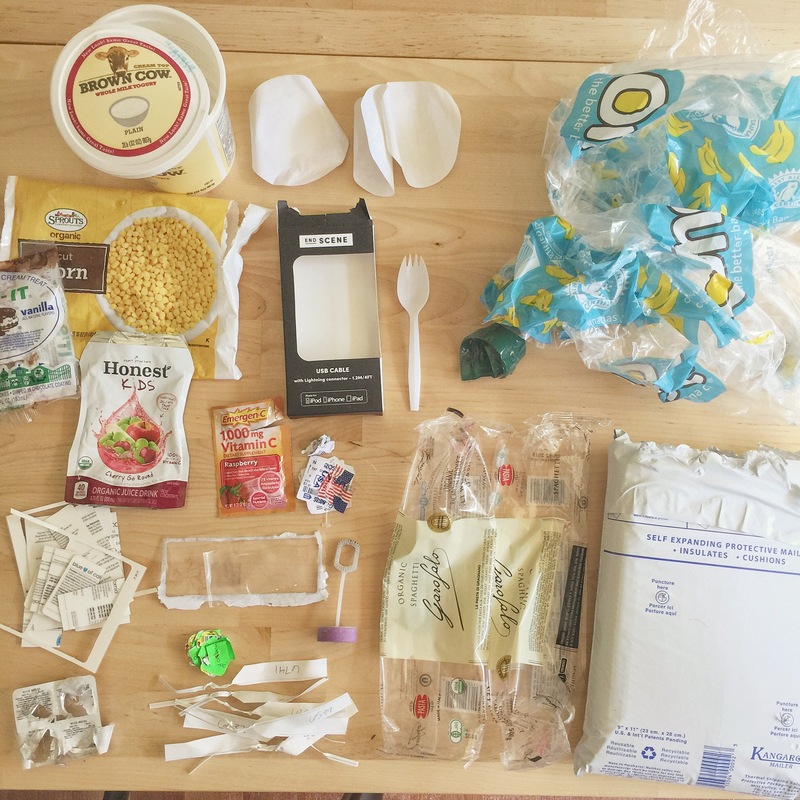 What plastic did I consume in week #2? If you aren’t including the plastic coming from my pantry clean out, I only consumed a little less plastic than the week before. Overall how hard is it to go plastic free? It’s hard. Anytime you are changing your habits and lifestyle it’s going to take learning. It took me extra time to meal plan for the week. Since we eat a plant-based diet in our home with very little animal products in the month, many alternative vegan products come in packages so I had to make more things from scratch. This is good because although I think we eat pretty healthy with lot of produce, making just about everything from scratch took it to another level. It certainly is a new system that I would have to develop over the next few months. Another hard thing was that there are somethings (like mangos) that I can’t find better quality of without plastic packaging. Do I plan on keeping up the plastic free challenge? Absolutely. I bought Bea Johnson’s book “Zero Waste Home” which is chalk full of really great information on how to reduce your waste consumption. It was incredibly rewarding for me to be a more conscious consumer and I plan to continue to work towards reducing our waste more and more as time goes on. Some people I think can do it ‘cold turkey’ if you want to say, but with our family, I think it will take time. It starts with us and then letting others around us know of our changed lifestyle which for me -is the hardest part.